Interacting with people from other cultures is an important life skill everyone needs to learn. We have to realize “our way” to speak, dress, eat, etc., (whatever way that is) is not the only way. The more we teach these skills to our kids the more tolerant of a place we are making the world. 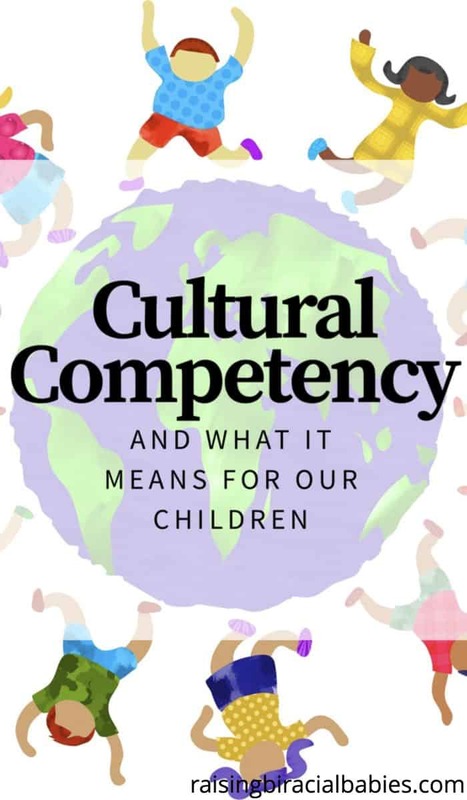 My friend Sam from thiswaymommy wrote a wonderful article explaining what cultural competency is, why it’s important for our children to learn, and how we can teach them about it. I know a great corporate leader who often argues that, in life you have to meet people where they are. His argument is that you have to be willing and able to speak to them and be a part of their world at the point that you meet them in whatever shape or form that this may take. Part of meeting people where they are is also understanding who they are, and by extension where they come from. We all may have instances in our lives where we have come into contact with someone who we just didn’t click with, or someone who just didn’t understand us. While I am a native English speaker and writer, awareness of who I am or where I come from has not always been present in every interaction that I’ve had with new people. Sometimes things just didn’t click. With a heavy Caribbean accent characterized by the strong enunciation of consonant letters and often times fragmented sentence structure, the minute I spoke, I could sense the confusion. How could someone who looked the way I did, with the features that I have, speak so differently from what everyone expected to hear? The stares and confusion would then be followed by an abundance of questions and albeit comments and assumptions. The sad realization was that not everyone was socially knowledgeable of the way to approach me with their questions. In short, they were not always culturally competent. But what exactly is cultural competency? And why is this much overlooked socialization skill significant in the way we raise our children? Before we explore cultural competency, I would argue that the people I met could not be faulted for the lack of knowledge about me or my culture. It is a fact that, cultural competency is not always learnt in a textbook. It comes to us through the development of meaningful relationships, concerted steps to interact with those who may not necessarily look like us, and by stepping outside of our comfort zone. The truth is, a large number of us have never even heard the term cultural competency before, much less understand what it means. Cultural competency is characterized by the ability to effectively interact with those from cultures outside of our norm. It means being able to show respect and align ourselves when we are in the presence of those whose displayed verbal or social differences may not look like those we are used to. But why is cultural competency so important? Well, take a look around you. We are fortunate enough to see people from everywhere, and hear languages from each corner of the globe, sometimes just by walking down a street. Cultural competency allows each of us to become more socially aware of our behaviors when we are around those who may display qualities that we are not used to in our everyday life. It forces upon us self-introspection and causes us to take on a more unified view of the world. We become well-rounded adults when we can assimilate with those who are not like us. In the workplace it affords us the opportunity to research and learn about places and things that are not commonplace. Cultural competency helps us learn, grow, and understand that the world is a global community. Part of raising our children into well balanced adults, is being able to teach them the importance of cultural competency. This means fostering positive behaviors in our children, and teaching them to be mindful of how they interact with adults and children who may look different from them. Teaching this from a young age leads to continued awareness and fosters the continued display of these positive behaviors. The end result is they are better prepared by the time they enter elementary school, college, and by extension the workplace. Our collective goal as parents, should be to make our children culturally aware of differences in people, such as the way they dress, what they eat, and what they believe in. The simple act of teaching kids to be culturally competent not only enlightens them, but it helps them learn respect for those that are culturally different. Tools such as an atlases and globes are great visual aids for teaching our children the customs, food and languages of people from other countries and continents. Activities which we sometimes take for granted like simple arts and crafts, can become cultural learning tools. We can engage our children through the introduction of crafts and toys from other countries, as a means of helping them understand their origin and meaning. Food can also be used to teach cultural competency to kids, when we as parents educate ourselves on foods which are indigenous to other parts of the world. By incorporating our food discoveries into our family dinner time and creating discussions about the origins and significance of these food, as minuscule as this may seem, we are teaching our children competency skills. And who doesn’t love music? Whatever genre that music takes for you or your children, incorporate diversity into the music that your kids hear. We live in a world which is separated by land masses and water. However, as parents we can do our part in lessening the divide between people from different corners of the globe. By teaching our kids to be mindful in the presence of others, and guiding them on how to behave when around culturally diverse people, we are doing our part to make the world a better place. Teaching our children to be socially accepting of others is great thing! Let’s work collectively to accomplish this mission. What are your thoughts on cultural competency? How do you teach it to your kids? pathways geared at helping parents balance it all after baby!